CrunchIt! 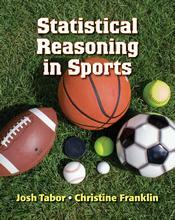 codes are included in all new statistics textbooks at no additional cost. Students can also access CrunchIt! through LaunchPad or purchase 6 month or 12 month access to CrunchIt! through the CrunchIt! website. To Use CrunchIt! with your Macmillan text, click here. JMP Student Edition (developed by SAS) is easy to learn and contains all the capabilities required for introductory statistics, business statistics, and statistics for the life sciences. With the student edition of JMP text specific pre-loaded data sets are included. JMP is the leading commercial data analysis software of choice for scientists, engineers, and analysts at companies throughout the world. Access to the JMP Student Edition is found within LaunchPad; length of access is two years. The Video Tech Manuals are available in LaunchPad as a resource and also found as icons within the e-Book in LaunchPad where applicable.